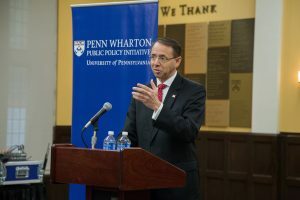 Deputy Attorney General Rod Rosenstein, who has weathered some pretty rocky times at the Justice Department, is expected to step down in mid-March, CNN reports, citing a Justice Department official. The official disputed any suggestion that the timing has something to do with the latest revelations from former acting FBI Director Andrew McCabe, who claims that Rosenstein volunteered to wear a wire when meeting with President Trump. CNN has reported that Attorney General Bill Barr has selected Jeffrey Rosen to replace Rosenstein. Posted: February 19th, 2019 under News Story. Matthew Whitaker, a Trump loyalist and harsh critic of Robert Mueller’s handling of the probe, has been tapped to replace Sessions on at least a temporary basis. As attorney general, Whitaker could seize control of the special counsel investigation from Deputy Attorney General Rod Rosenstein, who hired Mueller in April 2017 after Sessions recused himself. Whitaker, a former college football player and U.S. attorney in Iowa, wrote in a column for CNN last year that Mueller would overstep his authority if he investigated the Trump family’s finances. “This would raise serious concerns that the special counsel’s investigation was a mere witch hunt,” Whitaker wrote, repeating the president’s go-to conspiratorial phrase. Whitaker has not yet responded to media questions about what he plans to do about the Mueller investigation. Democrats wasted no time demanding that Whitaker stay away from the probe because his previous comments indicate he is far too biased to handle it fairly. “Given his previous comments advocating defunding and imposing limitations on the Mueller investigation, Mr. Whitaker should recuse himself from its oversight for the duration of his time as acting attorney general,” Sen. Chuck Schumer, D-N.Y., said in a statement to the New York Times. If Trump’s administration interferes with the investigation, Democrats could use their new majority in the House to impeach the president. But the bold measure would almost certainly die in the Senate, which needs two-thirds of the vote to impeach. Posted: November 8th, 2018 under News Story. 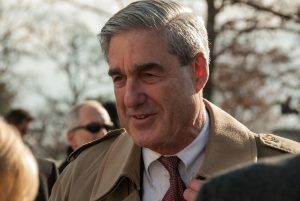 Special counsel Robert Mueller is expected to issue findings related to his investigation into Russian election interference after the midterm elections. Mueller is finishing up his report, which will include findings about whether Donald Trump’s campaign colluded with Russia and whether the president obstructed justice during the probe, Bloomberg News reports. 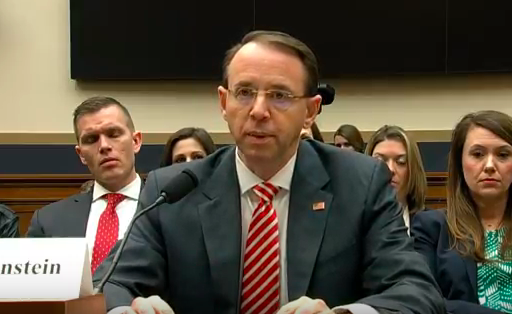 The findings will be presented to Deputy Attorney General Rod Rosenstein. It’s not yet clear whether the report will become public. Regulations give some discretion to Rosenstein in deciding what to reveal to Congress and the public. Posted: October 17th, 2018 under News Story. 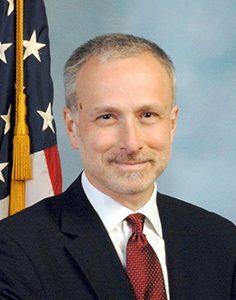 Former FBI general counsel James Baker said discussions within the bureau about secretly recording President Trump in an effort to remove him from office was no joke. Baker served in the leadership role in May 2017, when then-acting FBI Director Andrew McCabe and Deputy Attorney General Rod Rosenstein discussed the secret recordings. Baker shared the information with Congress last week. Rosenstein, who is scheduled to be interviewed behind closed doors on Thursday by House judiciary Committee members, has denied that the discussions were serious. Posted: October 9th, 2018 under News Story. The departure of Deputy Attorney General Rod Rosenstein seemed all but certain earlier this week, but White House officials said Tuesday it’s unlikely that President Trump will fire Rosenstein before the midterm elections. Sources in the White House told the Wall Street Journal and Washington Post that a major shakeup in Justice Department looks less likely as Trump considers the possible fallout during midterm elections. 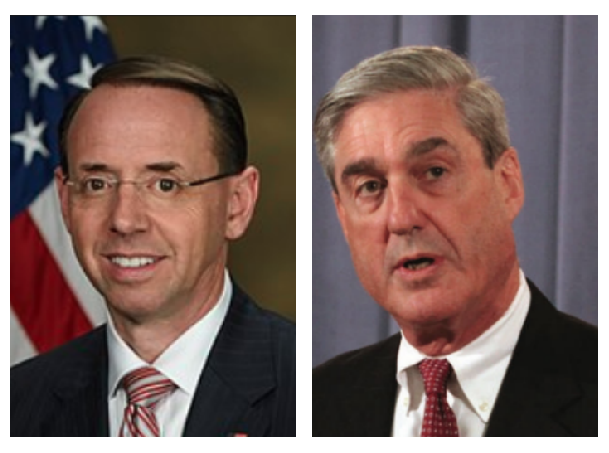 Allies of Rosenstein, who set in motion the special counsel investigation of Russia with the appointment of Robert Muller in May 2017, also said he is unlikely to voluntarily resign. Rosenstein is scheduled to meet with the president Thursday to discuss a New York Times story that said he considered secretly recording Trump and invoking the 25th Amendment to force his removal from office. According to advisers to the president, Trump has expressed a willingness to hear out Rosenstein. Republicans have urged the president to wait until after the midterm elections to remove Rosenstein. Posted: September 26th, 2018 under News Story.